Balestier Plain refers to the playing fields bounded by Balestier Road from Tessensohn Road to Moulmein Road. 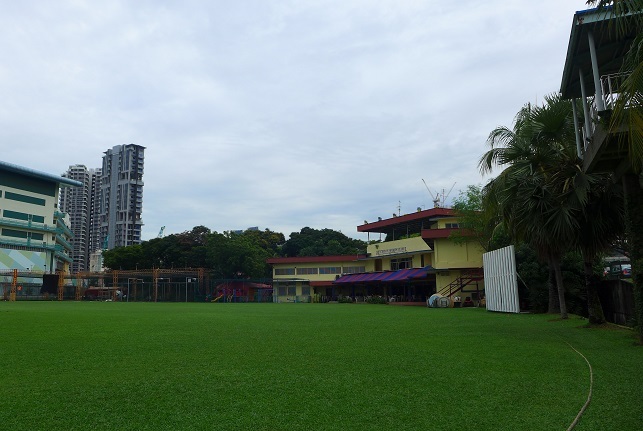 The field, which existed since the early 1900s, had been associated with eight sports clubs over the years, namely the Ceylon Sports Club, the Ceylon Tamils Association, the Singapore Indian Association, the Young Men's Christian Association, the Singapore Chinese Recreation Club, the Singapore Khalsa Association, the Singapore Malay Football Clubs and the Kamala Club. The Ceylon Sports Club (CSC) and the Indian Association (IA) occupied parts of the plains since 1922, followed by the Singapore Khalsa Association in 1968. Players from CSC and IA represented Singapore in Hockey at the 1956 Melbourne Olympics while various sportspersons from these clubs had represented Singapore in major international and regional sporting events. Share your stories and pictures with us! Help enrich our collective knowledge of significant places which Singaporeans have studied, worked and visited before. Buildings and sites featured on Roots.SG are part of our efforts to raise the awareness of our heritage. A listing on the Roots.SG does not imply any form of preservation or conservation status, unless it is mentioned in the write-ups.